In an attack reminiscent of the massacre of the Fogel family in Itamar in 2011, a 'Palestinian' terrorist knocked on the door of a Jewish family in the village of Halamish (Neve Tsuf) that was holding a Shalom Zachar (celebration of the birth of a boy) on Friday night, walked in, and started stabbing the residents. The terrorist murdered the grandfather - 70-year old Yosef Salomon, his daughter 46-year old Chaya Salomon, and his son, 36-year old Elad Salomon HY"D (May God Avenge their blood). The grandmother, 68-year old Tova Salomon, was seriously wounded. If not for quick thinking by daughter-in-law Michal Salomon, who rushed her five children into a room, locked the door and called the police, the massacre might have been much worse. An off-duty soldier neighbor shot the terrorist through a nearby window, wounding him. 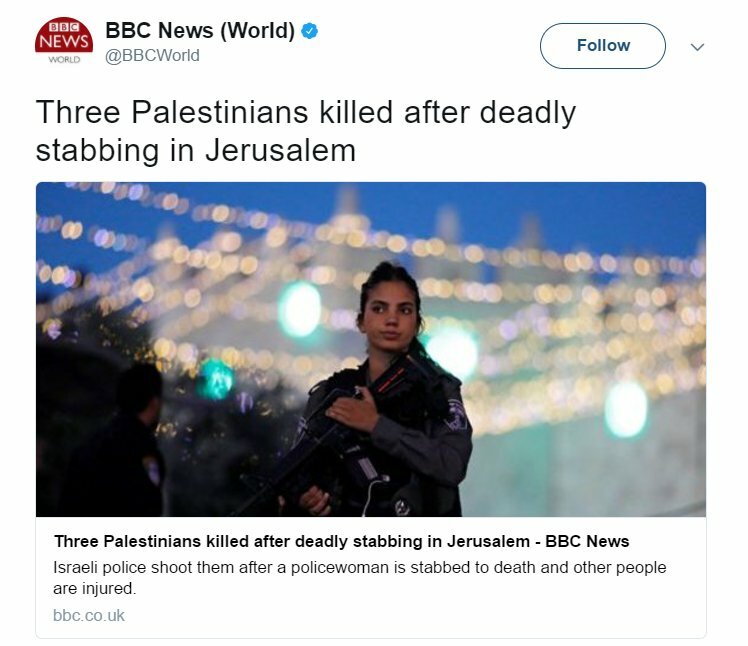 The entire attack, from the time the terrorist jumped the fence of the village until he was neutralized, took less than 15 minutes. It has been reported that when medics came to treat the terrorist and his victims, the terrorist attempted to attack the medics. In Gaza, the terror attack triggered celebrations. 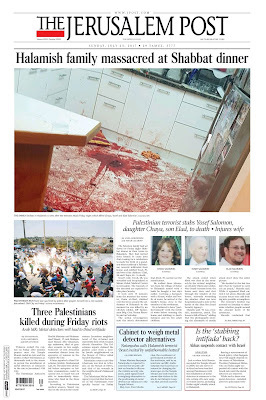 This morning, Israel's Hebrew-English 'Palestinian' daily, Haaretz, publishes a column by Gideon Levy that dances on the victims' blood before they can even be buried. I won't sicken you by posting quotes from it. The other group that's dancing on the victims' blood is the international media. Those include al-AP and al-Guardian. And for those of you who are still foolish enough to believe that Muslims are 'just like us,' here's the terrorist's mother. Let's go to the videotape. Those who believe that this is not a religious war are simply fooling themselves. I am sure that many of you, particularly in the US where the reactions have been shrill, have heard the fuss about the government 'abandoning' an agreement to facilitate 'pluralistic' prayers at the Western Wall. There's a lot of misinformation about this decision in the media. This video, which I found on Facebook last night, does a great job of clarifying what's really going on. Few seem to recall that the conflict between Arabs and Jews in British Palestine was directly related to the Kotel and Jewish demands for prayer rights there. The 1929 riots and pogroms against Jews was due to a conflict at the site and was referred to as the “Wailing Wall disturbances” for many years. According to an article on the subject, “The issue of Jewish rights of worship at the Wailing Wall flared up as a result of an incident on 24 September 1928 when the screen separating men and women at the Wall was removed by a British police officer in the midst of prayers on Yom Kippur.” Before 1967 Jews were forbidden from bringing many prayer items to the site. The lack of separation between men and women was not because Jews didn’t want separation, but because they were forbidden to change the site, because it was run by the authorities and Muslim religious leaders saw it as being owned by Muslims. Colonial authorities ran the Wall. Israel has barred a UNESCO team that is 'investigating' whether the Cave of the Patriarchs (Me'oras HaMachpeila) should become a 'protected' World Heritage site from visiting the site or the city. 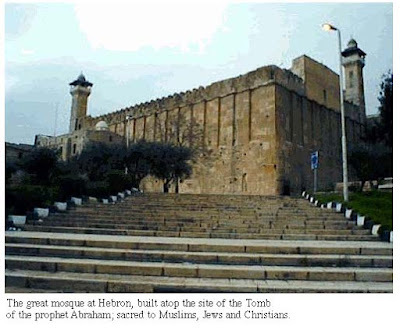 Hebron’s Old City, including the Tomb of the Patriarchs, is one of the 35 sites the World Heritage Committee plans to consider for inscription on the World Heritage List when it meets in Krakow, Poland from July 2-12. The Palestinian Authority has fast tracked the inscription process by claiming that the site is endangered. Since UNESCO recognized Palestine as a member state in 2011, the Palestinian Authority has similarly fast tracked inscription of two other sites on the list of World Heritage in Danger. This includes the Church of the Nativity and the Pilgrimage Route in Bethlehem in 2012 and the ancient terraces of Battir (2014). The International Council on Monuments and Sites, a professional body, which investigates nomination requests and provides recommendations for inscription on the list of World Heritage in Danger had recommended that both nominations go through the normal process after making field visits to both sites. This time Israel has rejected its request to make a field visit to Hebron, this includes a refusal to grant entry visas to Israel for the group, Shama HaCohen said. The 21-member World Heritage Committee rejected the ICOMOS conclusions not to place the Church of the Nativity and the terrace of Battir on its endangered list, Shama HaCohen said. Therefore, it’s “a shame to waste the time and money” of the ICOMOS committee whose recommendations are otherwise typically adhered to with regard to the inscription process, Shama HaCohen said. “Israel won’t take part in and won’t legitimize any Palestinian political moves under the guise of culture and heritage,” Shama HaCohen said. UNESCO - and all UN agencies - should be barred from Israel altogether. The only reason they come here is to try to destroy us. Last week, I reported on the number 1 best seller on Amazon in the category of Israel and 'Palestine' history. This book is the fruit of many years of research, during which thousands of sources have been meticulously reviewed in libraries and archives worldwide. It is no doubt the most comprehensive and extensive review of some 3,000 years of Palestinian history, with emphasis on the Palestinian people’s unique contribution to the world and to humanity. The catch? This lauded historical account that is also available in Arabic and in Hebrew and was penned by the Israeli writer offers no real insight, let alone content. Yes, that's right- "History of the Palestinian People" is a book whose every single page (and there are 120 of them) is a blank. Unfortunately, if you go to Amazon today and search "History of the Palestinian People + Voll" or "History of the Palestinian People + Assaf Voll" you find something different (and if you search "History of the Palestinian People + Assaf," you find nothing). But at least it's (seemingly) on the right side. This is from the author's summary. The secret is that there will never be peace between the Palestinians and the State of Israel because the Palestinians were formed for a very specific purpose which is to lead to the destruction of the State of Israel. This is their sole objective…..at least that of the leaders. Let's hope Amazon doesn't discover this one. Amazon's new best seller: "A History of the Palestinian People from Ancient Times to the Modern Era"
In other words, we finally have a book that tells the truth about the 'history' of the 'Palestinian people.' It's about time. "In all the talk about 'fake news' Israel is missing an opportunity by not calling out the fakest of the fake news, namely the professed existence of a Palestinian Arab people. Palestinian Arab officials themselves have admitted that the professed Palestinian identity is fake, an invention for the political and tactical purpose of defeating Israel. In a 1977 interview with Dutch newspaper Trouw, PLO executive committee member Zahir Muhsein said: “The Palestinian people does not exist. The creation of a Palestinian state is only a means for continuing our struggle against the state of Israel for our Arab unity. In reality today there is no difference between Jordanians, Palestinians, Syrians and Lebanese. Only for political and tactical reasons do we speak today about the existence of a Palestinian people, since Arab national interests demand that we posit the existence of a distinct ‘Palestinian people’ to oppose Zionism". Why is the world - and parts of the Israeli establishment - obsessed with establishing a Palestinian Arab state, funnelling billions of taxpayer dollars into that enterprise, if the Palestinian Arabs themselves readily admit that their professed identity is fake? To begin with, the 'Palestine industry' has become a flourishing business that would put many people out of business if peace were to actually break out." The reason the Israeli establishment accepted the existence of a 'Palestinian people' is that in 1993, Israel's Left saw the Messiah of 'Peace' and his name was 'Palestinian.' I've been railing about this stuff for years. But most of the Israeli establishment - including our Prime Minister - won't admit this. If they admitted it, they'd also have to admit that there's no 'two state solution' and admitting that would be admitting that everything they've done for the past 24 years has been misguided and wrong. So the #FakeNews continues to be treated as real. Woe to those who cannot face the truth.